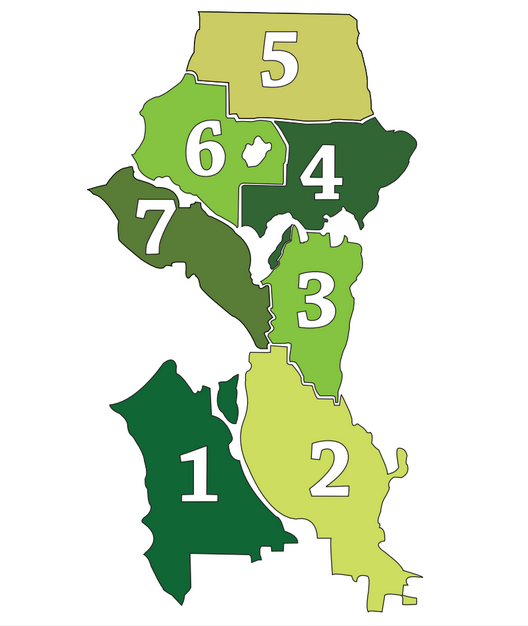 Congratulations on deciding to start a Seattle Neighborhood Greenways group! Find friends, neighbors, and make new friends when you invite people from school groups, community clubs, business associations and more. Make your meetings, walks and events fun and a way to build great long-term relationships in the place you live, play, and work. Get the word out first. Many new groups use a Google Group for sharing internal information and a Facebook site for public outreach. Your local blogs and papers, community council, church, and school newsletters, and Chamber of Commerce offices are usually excited to help you get out the word for your first meetings and events. This double-sided 1/2-page flyer describing Seattle Neighborhood Greenways is a very helpful recruiting tool! Find streets that work well for walking and biking. Community groups often want to focus first on mapping the routes that feel safe and comfortable for walking and biking. We highly recommend actually walking on these routes as a great way to hold a community meeting and to learn about what is functioning well and what could use some design and engineering work. 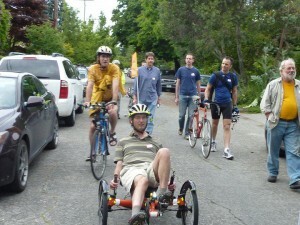 Read Seattle Neighborhood Route Scouting Guide for great local field-tested ideas that work! Read a Guide to Leading Community Walks and Rides on Future Greenways. A variety of Pedestrian Audit Tools and Bicycle Route Audit Tools from Pedestrian & Bicycle Information Center and friendly how-to guides to Walking Workshops from Mark Fenton. Join the citywide Seattle Neighborhood Greenways group to find out about what is going on around Seattle and to get inspired by the work of other local groups.